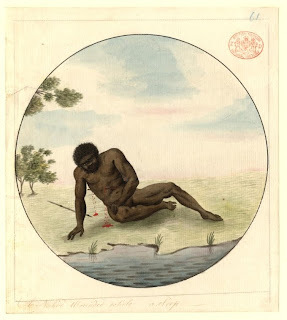 BCR - Year 8 History: Australian Aboriginal in a Classical Pose? Have a look at the following painting. It is a watercolour that was painted some time between 1788 and 1797. Beneath the painting is an inscription that reads, "A Native Wounded while asleep". 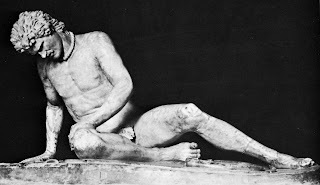 Now look at the following Ancient Roman sculpture called "Dying Gaul". It is a (probable) copy of a Greek original and dates from around 100 to 200 B.C.E. Why are the poses similar? What point, or impression, was the artist in Australia trying to make? Is it an accurate source when studying Contact History?